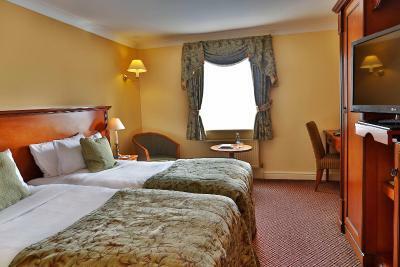 Lock in a great price for Best Western Premier East Midlands Airport Yew Lodge Hotel – rated 8.1 by recent guests! 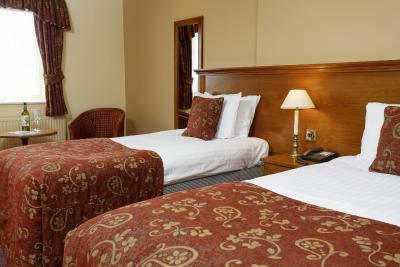 The hotel is located well for East Midlands airport. We were visiting family in the area, so we occupied 7 rooms and found the bar area great at night, if a bit over-priced for basic drinks. 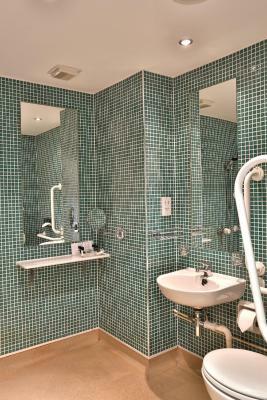 The room was comfortable and the bathroom was clean and a good size. Breakfast was good and Samantha was one of the best waitresses we've ever come across, she was superb! 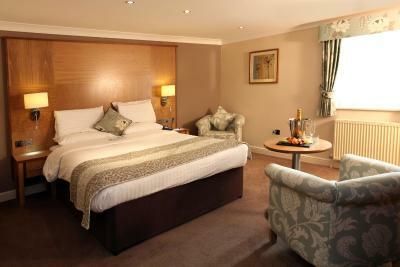 Ordered Poached eggs for the breakfast which were perfect, gym facility was very good too and the bed was comfortable. 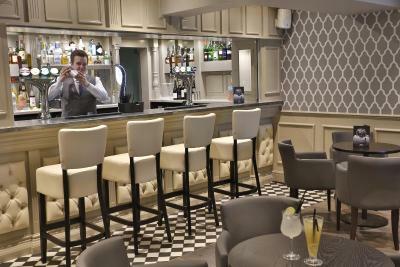 All staff were friendly and the bar was well stocked in a variety of drinks and draft beer. Good leisure facilities. Staff pleasant and friendly. the staff were very accommodating towards my partner, who is partially disabled. 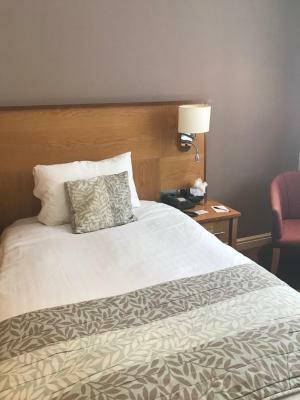 Best Western Premier East Midlands Airport Yew Lodge Hotel This rating is a reflection of how the property compares to the industry standard when it comes to price, facilities and services available. It's based on a self-evaluation by the property. Use this rating to help choose your stay! 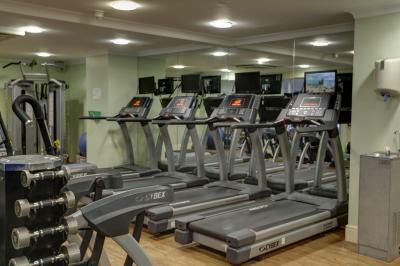 Just minutes from the M1 Highway and 1.9 mi from East Midlands Airport and Castle Donington, this Best Western Premier East Midlands Airport Yew Lodge Hotel offers an onsite health club and spa. 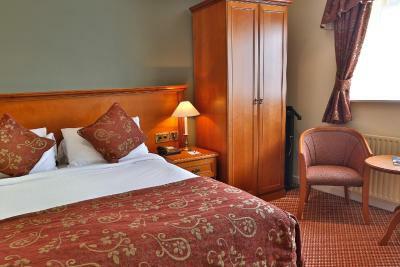 The elegantly furnished rooms include free Wi-Fi. 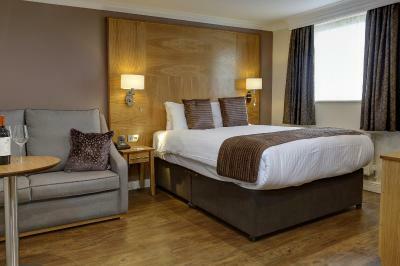 Guests of Best Western Premier East Midlands Airport Yew Lodge Hotel have free access to the pool and fitness center. Reception desk staff are available 24/7. 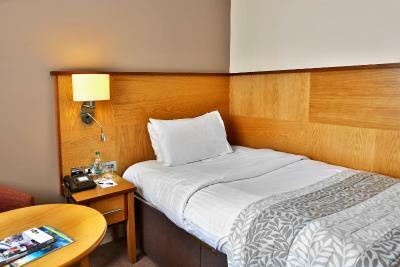 Rooms feature light wood furniture and include a coffee maker. Room service can be arranged throughout the day. 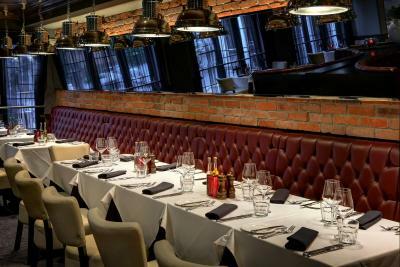 Marco's New York Italian restaurant serves a selection of Italian dishes including sharing platters, fresh seafood, home-made pizza and pasta all-day. It also offers steaks, burgers, Marco's special barbecue ribs and lazy fries. 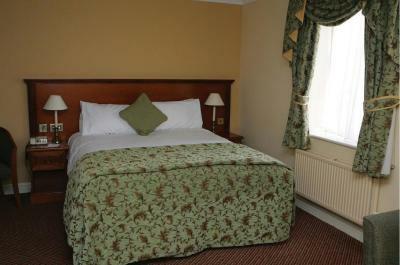 The hotel is 6.2 mi from Loughborough, at 11 mi from Nottingham city center. There is a shuttle service to and from the airport, which is available at a small extra charge. 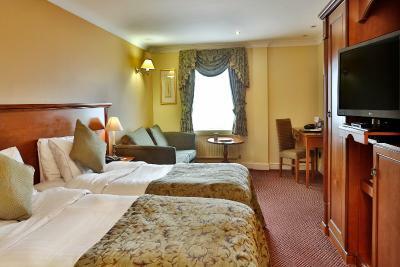 When would you like to stay at Best Western Premier East Midlands Airport Yew Lodge Hotel? Public parking is available on site (reservation is not needed) and costs GBP 8 per day. 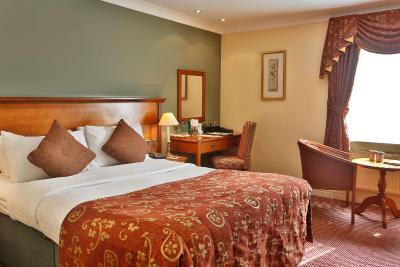 BEST WESTERN PREMIER Yew Lodge Hotel is a third generation family owned hotel situated at the heart of Kegworth village. 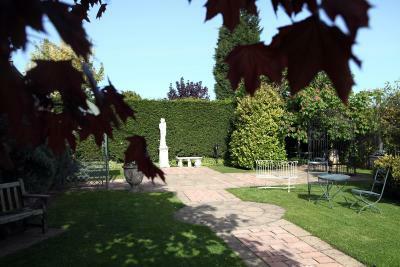 Just a half mile from junction 24 of the M1 and two miles from both East Midlands Airport and East Midlands Parkway station. 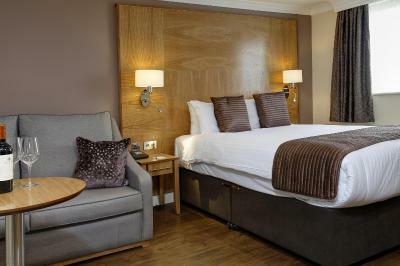 Our bedrooms come complete with SMART TV's and robes so you can relax and enjoy your precious leisure time. 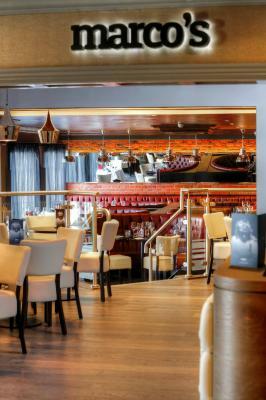 Alternatively why not dine in our Marco's New York Italian Restaurant offering the very best in Italian and American cuisine. 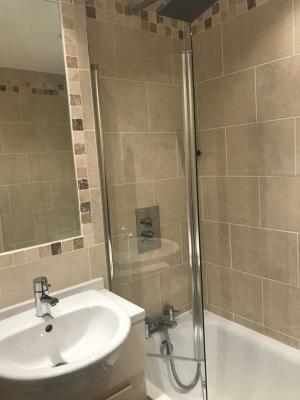 Reeds Health Club & Spa is also available with a pool, steam room with theme showers, sauna with ice feature, a spa pool and a fully equipped fitness suite. 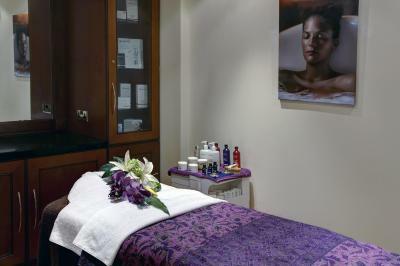 Reeds Beauty offers the range of Elemis treatments - booking early is recommended. Our conference facilities are second to none with 19 rooms in total and the bespoke Ebony bar and lounge for tea/ coffee breaks. 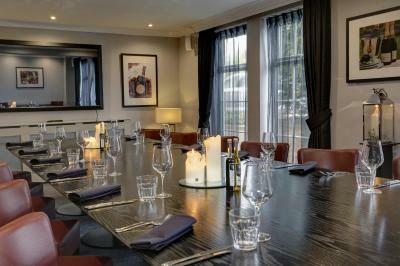 our largest room the Forest Suite can cater for 330 delegates theatre style and we have 5 boardrooms which come complete with an LCD TV allowing great connectivity for presentations courtesy of the FREE wifi which is available in all areas of the hotel. 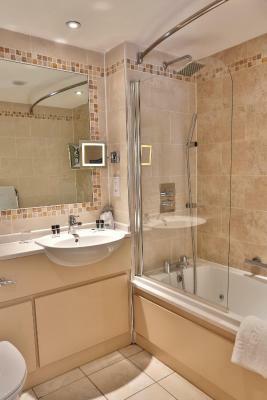 House Rules Best Western Premier East Midlands Airport Yew Lodge Hotel takes special requests – add in the next step! 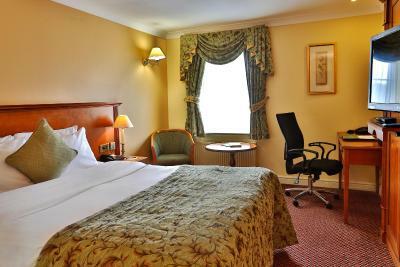 Best Western Premier East Midlands Airport Yew Lodge Hotel accepts these cards and reserves the right to temporarily hold an amount prior to arrival. 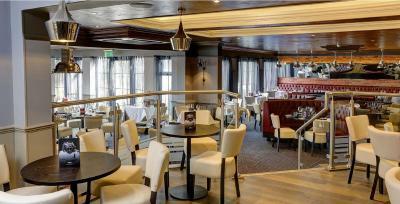 Please note that the hotel will preauthorize credit cards on arrival. Please note children have access to the pool only between 10:00 and 18:00. Guests can use the car park for the duration of their reservation only. Not so much hotels fault, but had to arrange taxi for airport transfers as Booking.com had not informed us of park and fly offers and reception forgot to book pre-ordered taxi making us 20 minutes late for rendevous with others. First floor rooms are down narrow windy and dingy corridors. Bathroom floor tiles where broken and moving underfoot to the point a towel had to be put down to avoid cuts, vanity mirror and shower head had large build up of cumulative dust on both. 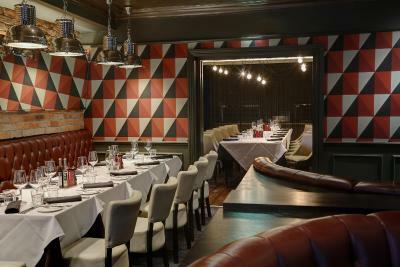 Sadly the Marco Pierre White restaurant let the hotel down.. Rooms were lovely and the location was fantastic for visiting friends/family in the area. Rooms felt slightly dated in terms of the overall decor, prices of drinks at the bar were fairly extortionate. Stayed a few times before and was offered an upgrade this time which was an added bonus. Always had a very enjoyable break here.